2016 began with the fourth tour of our extraordinary production Broken. The company performed in nine venues across the UK, but kicked off the tour with a brilliantly-received performance at the Burghof theatre in Lörrach, Germany. In March we performed Broken at the Wales Millennium Centre in Cardiff as part of the British Dance Edition 2016 which showcases British dance to international promoters. Broken was live-streamed in its entirety from the event. In July we did something with Broken that we’ve never tried before and we loved it! We performed the show outdoors for the first time ever at Salford Quays as part of Quays Festival in MediaCityUK. 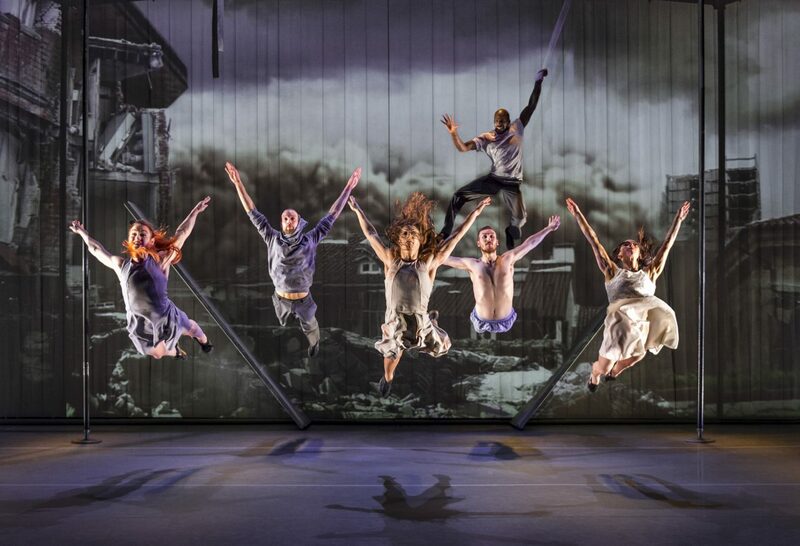 While Motionhouse is renowned for its outdoor work, taking Broken – an indoor theatre production – outdoors brought with it some challenges – but we love a challenge! The opening of the production was reworked to suit the lighting of its outdoor setting. Safe to say the company worked incredibly hard with the team at Quays Culture, and the one-off outside performance proved to be a phenomenal success with 2,500 people coming along to watch. In total, we performed Broken to 9,918 people in 2016 and the company was blown away by the response we had from the audiences who came to watch. Thank you to every single person who saw the show this year – we couldn’t have done it without you!